ID-Cooling, while still a relative newcomer to the PC-cooling market given it was established in 2013, continues to rapidly expand their market presence. With each product revision or release, they have shown improvements, along with quick adaptability to various industry trends. This includes everyone’s love-it or hate-it feature of RGB LEDs. 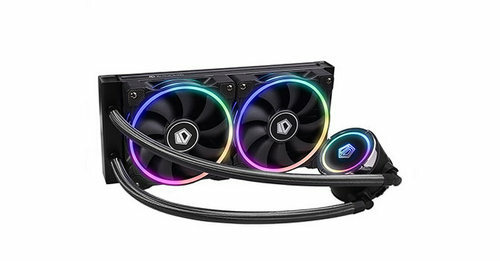 Not to be outdone, they have expanded their product portfolio to include RGB-illuminated heatsinks, fans, all-in-one liquid coolers, and even expandable liquid cooling options. With no sense of fear, it seems ID-Cooling will continue to bullrush the market whenever the opportunity presents itself, which should result in an influx of interesting products from them in the foreseeable future. In today’s review, I take a close look at the Zoomflow 240. This latest all-in-one liquid cooling option from ID-Cooling continues the RGB trend, like the Dashflow series. However, in this case, it’s not expandable and uses a more traditional design. This results in a more affordable offering with many of the same features as the Dashflow series. Still, features and LEDs, while nice, are no replacement for performance, so before we get too excited, let’s take a closer look.